It is often the case with barn conversions that whilst the original building may appear quite large they invariably will not accommodate all the internal spaces required without some compromise. However, in this case, whilst the building is Grade 2 listed, we were able to use the precedent set by a dilapidated single storey cowshed originally attached to the barn to achieve listed building permission for a larger new single storey stone-built extension which provides the new kitchen, utility and cloakroom. 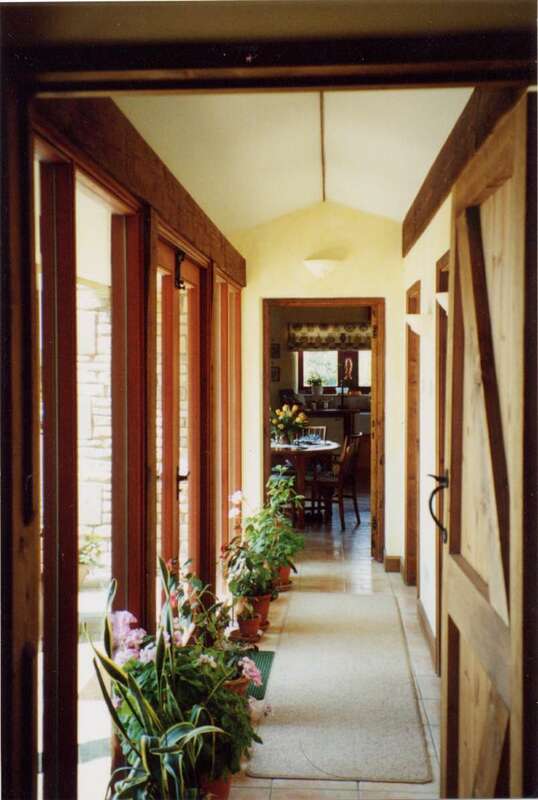 The ground floor of the barn comprises a dining and en-suite guest room; to gain the views across the open countryside the living room was sited at first floor along with three further bedrooms. The original roof was beyond repair and in designing the new oak trussed roof, we allowed for the roof space to be converted in the future into additional living space.